"It'll be a big blow to his ego. He's got a big ego, and that's what makes him. That's what drives him. Because he knows that if he loses, where's everybody at? I think that's why Floyd is a machine when he trains. Because if he loses, that's his biggest fear. Floyd doesn't want to lose." -- Oscar De La Hoya, the day before the Floyd Mayweather-Miguel Cotto fight. Frederick J. Brown/Getty Images If Floyd Mayweather stepped away now, everyone would remember his career ending with an exciting fight. Floyd Mayweather has just added Miguel Cotto to his list of victims, taken his unbeaten record to 43 and officially become this generation's Rocky Marciano. Now what? What should the man the world seems to love to loathe do next? He spoke of fighting Manny Pacquiao; of not fighting Manny Pacquiao; of purse splits and drug tests; of Bob Arum being the enigma and the reason the fight of his life won't happen; of June 1, Day 1 of his 87-day jail sentence. It's after he gets out that there's uncertainty. What Will Be Next versus What Should Be Next. Mayweather basically has the immediate future of the sport in his hands. His future versus the future of boxing. A future that does not include a fight with Pacquiao. A future in which Mayweather should never fight again. He won't do that. That would be too perfect. Historically, boxers have had a harder time leaving their sport than all other professional athletes, so expecting Mayweather to be different would be wishful. But boxing needs Mayweather to never come back … unless it's to fight Pacquiao. Mayweather's legacy needs Mayweather to never come back … unless it's to fight Pacquiao. As great as Saturday's fight with Cotto was, no one wants to see anything similar again. And Mayweather doesn't need anything similar again. Because as great as it was to see Mayweather actually fight -- and be in a real fight in which someone actually challenged him -- the fight itself was meaningless. As will be every other fight he takes. Unless it's against … we know who. It's time for boxing to get past always waiting on Mayweather to save the sport whenever it's in desperate need of attention and whenever Las Vegas needs to generate serious cash flow and whenever the sport has to remind the general public that it still has a pulse. 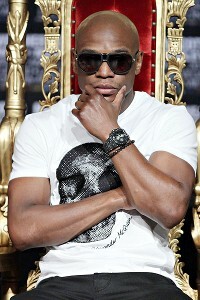 John Gurzinski/AFP/GettyImages It's time for Floyd Mayweather to sit back and relax. Ever since his 2007 fight against De La Hoya, Mayweather (and Pacquiao, to a large degree) has been relied upon to rescue boxing from the quicksand that it's been sinking in since the UFC and MMA took over the contact sport world. The time has come for boxing to find out what life without Mayweather is really like. But more than boxing finding itself without him, Mayweather needs to find out what type of life he's going to have without being the lifeline of a sport. As it stands now, the "0" is all that should matter to Mayweather, not the "43" that precedes it. It's not about Mayweather being protective of the no-loss career he's established, it's about him from this moment forward being ultra-cognizant of it. Because honestly, that's all he's got. The minute he puts himself in position to lose a fight to anyone beside Pacquiao, his meaning to the sport will depreciate faster than a Bentley once it leaves the dealership's showroom. Mayweather's legacy and Mayweather himself (with the exception of continuing to break boxing's per-fight purse records as he did in the Cotto fight by personally pulling in more than $32 million) have nothing to gain by continuing to fight. Scheduling and going through with fights against the Sergio Martinezes, Andre Wards or Canelo Alvarezes of the world serve no purpose. Winning those fights changes nothing. They just pad the record of a career that can only become greater with one specific fight and can fall from grace with a loss in any fight. Yes, the time has come. Say goodbye, Floyd. Officially. Throw up deuces instead of the index finger. For a man who has always been about himself, Floyd Mayweather has never been selfish. Not when it comes to boxing. Now is the time to be selfish. Really selfish. At this point, boxing needs Mayweather increasingly more than he needs it. And once and for all, he needs to recognize and ultimately act on it. Time for "Money" to think about something other than money. 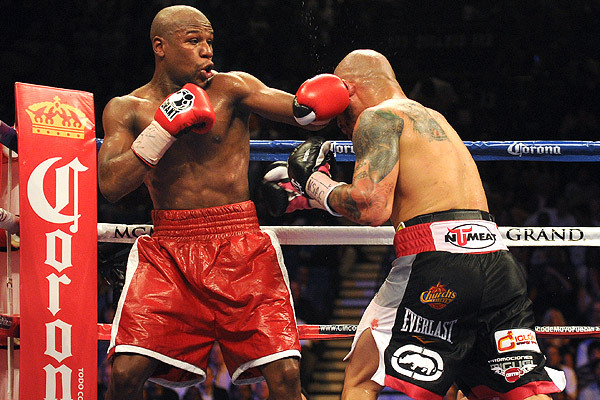 "There's really no one for me to fight," Mayweather said not long after the Cotto fight. "I don't have to fight if I don't want to. They say, 'Save the best for last.' And if this was my last fight, it was a helluva fight." Here's to hoping those words are his epitaph. For both him and the sport. In what many consider one of the greatest boxing stories ever written, W.C. Heinz opened the "Brownsville Bum" with this: "It's a funny thing about people. People will hate a guy all his life for what he is, but the minute he dies for it they make him out a hero and they go around saying that maybe he wasn't such a bad guy after all because he was willing to go the distance for whatever he believed or whatever he was." From a pure boxing standpoint, Floyd Mayweather has gone that distance with the exception of one fight. A fight that should have already happened but probably never will. The world already hates him. It always has. So why should Mayweather even think about giving the world the satisfaction -- after all he's done to validate his greatness and position among boxing's gods -- of falling in love with him only if he were to lose?